Rio de Janeiro is the hottest destination for 2016. With the summer Olympics fast approaching, it's going to only get hotter once everyone sees how beautiful this city is. 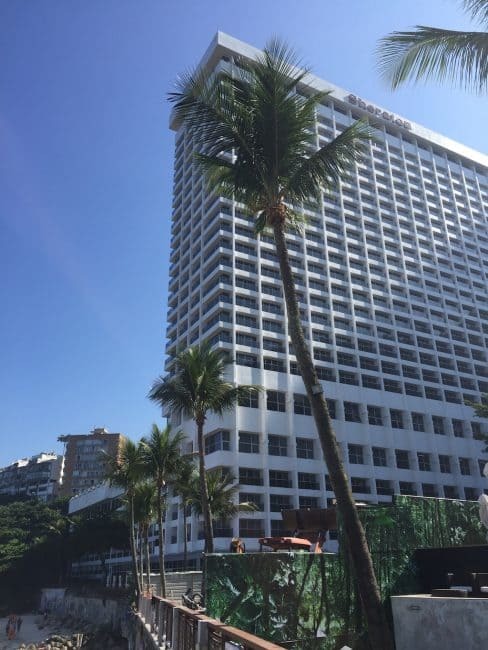 We had the chance to check out three of the best hotels in Rio while visiting the city with TravelSmith while they shot their Summer 2016 catalogue. 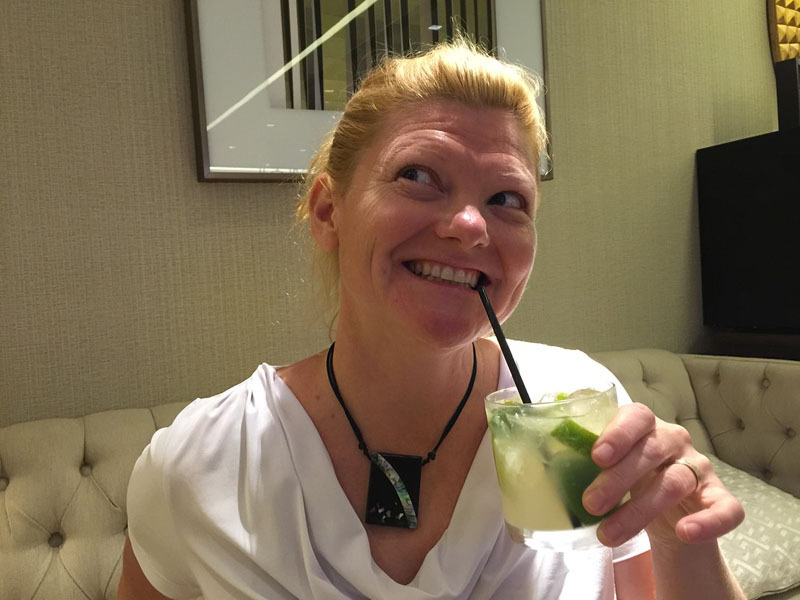 While in Rio, we tried three different hotels on three different beaches. If you are going to stay in Rio, you may be interested in one of these three Rio hotels. Best Copacabana Beach is probably the most famous beach in the world and the place to stay when visiting Rio is definitely the Belmond Copacabana Palace hotel. While we were visiting Rio, Arnold Schwarzenegger was staying at the hotel. We never saw him, but we did see his body guards lingering around the lobby. The following week Cold Play was staying at the the Copacabana Palace. Once we heard that it was the star's hotel of choice, we knew we picked a winner. 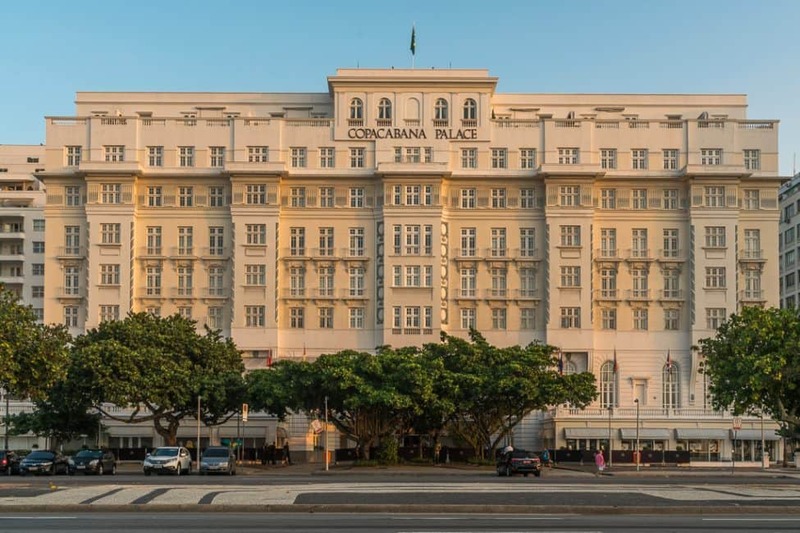 The Belmond Copacabana Palace hotel is an art deco hotel dating back to 1923. It was the first hotel in the area and it takes up an entire city block. Copacabana beach was basically built around this hotel and the history and glamour cannot be denied. With chic modern design suites melding beautifully with the historic architecture, the Copacabana Palace makes you feel like a movie star. Breakfast by the pool is the perfect start to your day before you walk along the iconic beach. Copacabana offers beach umbrellas and chairs to all hotel guests so you never have to fight for a spot on Rio's very crowded beaches. 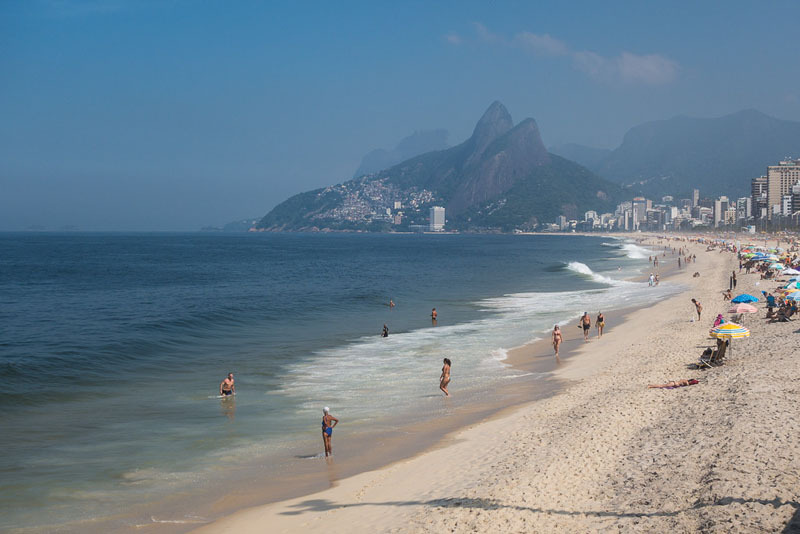 Leblon Beach is the quietest of Rio's famous beaches and the Sheraton Grand Hotel & Resort is the place to stay. 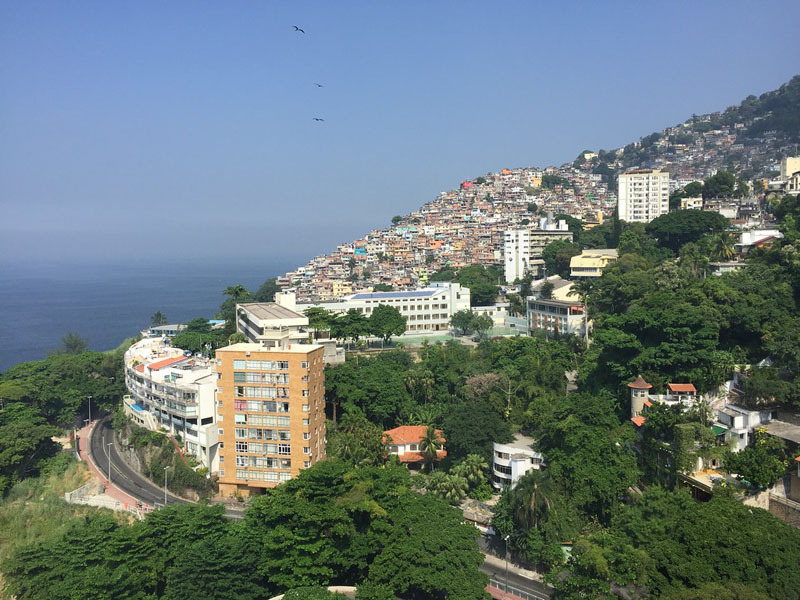 It is a little bit off the beaten path but taxis are so affordable in Rio, you can get around to the neighbouring Ipanema Beach or just a little further down to Copacabana with ease. The Sheraton has what feels like a private beach as only locals take advantage of the sand. It has multiple pools, a spa and restaurants making the Sheraton the perfect retreat from busy Rio. We loved cocktail hour on the club level where complimentary Caphairina's are served at the bar as you look on from the 26th floor at the incredible view of Rio's beaches and mountainous shore. The pools were under construction while we were there, but they are expected to be complete by the Olympics this summer. Ipanema Beach is most people's favourite beaches. It's the local favourite and close to many restaurants and shopping. The Fasano Hotel is the choice hotel for stars, but that was all booked out during our stay sadly. Rumour has it that Madonna was so mad at the Copacabana Beach hotel for booking an actual president in the Presidential Suite that she moved to the Fassano and has never looked back. 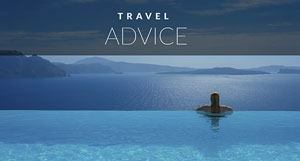 Henry Stiles, Kate Moss and David Beckham have all stayed at the Fassano. 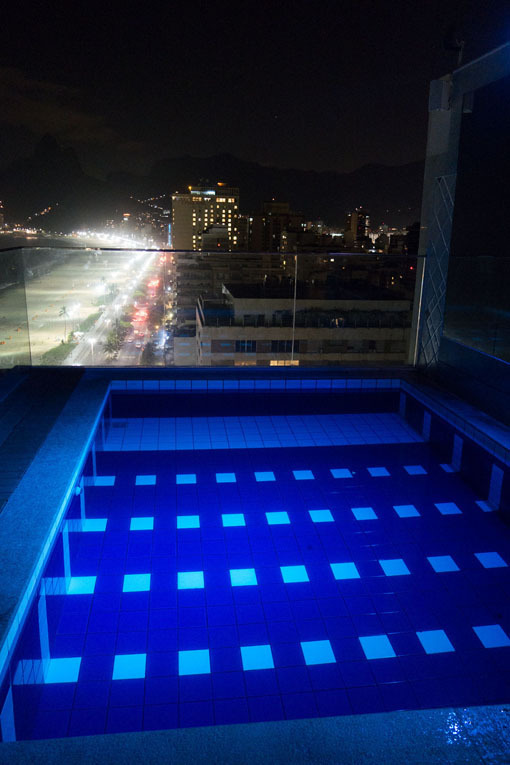 I would have loved to have checked it out, but we were at the another choice Rio hotel at the Sol Ipanema. The Sol Ipanema is all about its location. Located across the street from the beach. 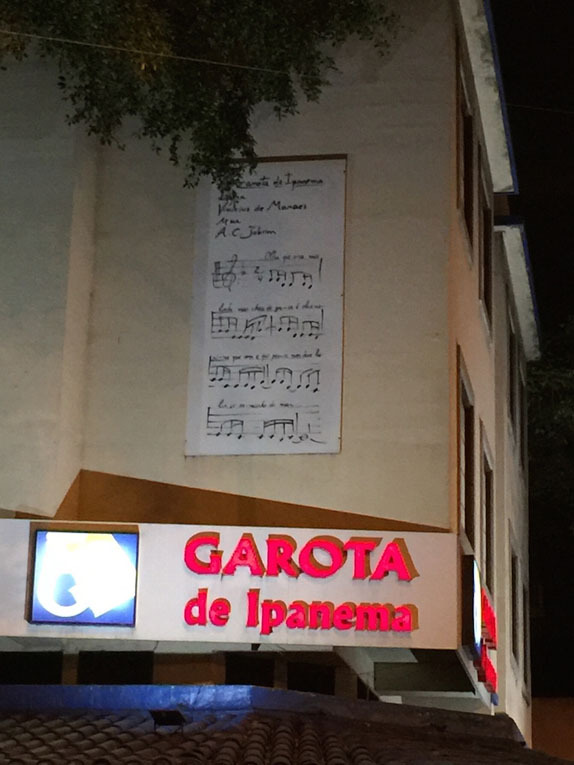 (Note all Rio hotels are located across the street from the beach – None except the Sheraton are located directly on the beach) it is also just around the corner from the famed Girl from Ipanema Cafe where the famous tune was penned. Dinner here is a must as you are served delicious Brazilian barbecue directly on your table that you grill up yourself. There is a very small pool on the roof with a couple of lounge chairs that makes for a great view, but we suggest taking advantage of the sun chair and umbrella service offered at the Sol Ipanema on the beach. Umbrellas and chairs are hard to come by and having a hotel provide this complimentary service is a huge bonus. Staying at a beach hotel allows you comfort and access that other people don't have when visiting Rio's beaches. If you choose one of these hotels on the beach, you are going to love your time in South America's most exciting city. 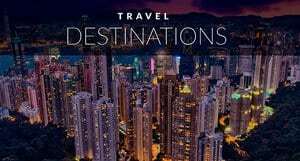 For more information on travel to Rio visit the Rio Tourism Website and Stay tuned for the TravelSmith Catalogue featuring MyRio! 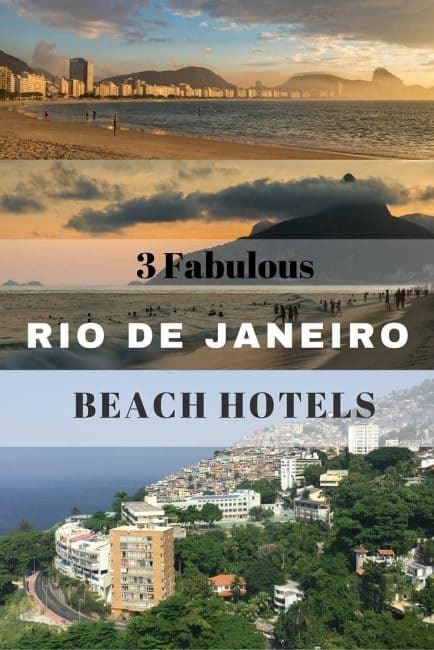 13 Responses to "Three Great Hotels in Rio on the Best of the City’s Beaches"
I have also listen that the city of Rio de Janeiro is one of the famous tourist destinations in the world. And I love your list for Rio. Copacabana Beach is one of the world’s popular beaches located at the center of Rio de Janeiro. The government also raised volleyball and football tournaments during the hottest days at the beach. Thanks a lot for providing a list of glamorous hotels in Rio. 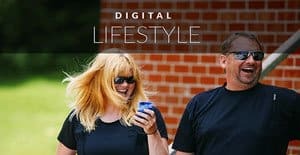 Thumbs Up to your blog buddy! Thanks Katherine. Copacabana Beach is awesome isn’t it? 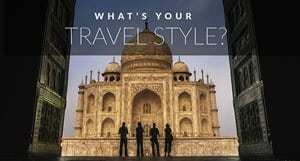 Have you stayed in all three? We have stayed at all 3. 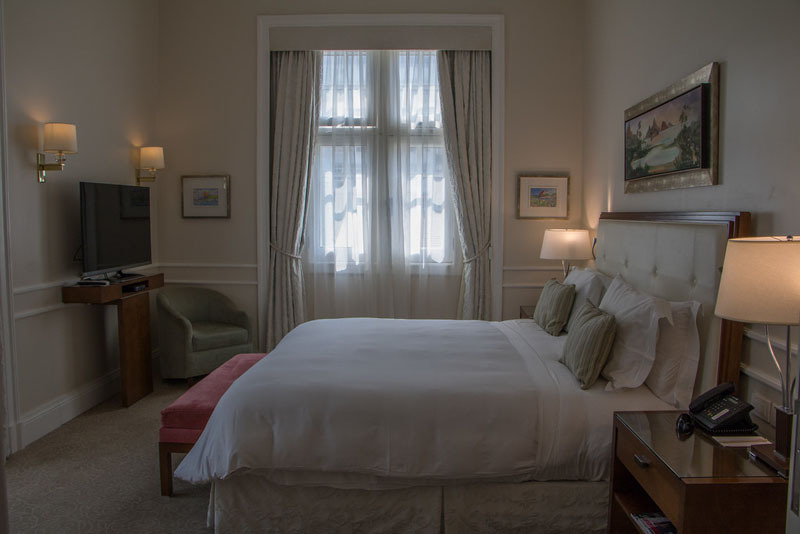 The Copacabana is definitely our favourite for luxury, history and location. The Sheraton is much better than the Ipanema however, the location of Ipanema is much better than the Sheraton. The Sheraton is like a resort and is a little far away from everything. Most people like Ipanema Beach better than Copa Cabana because it has more of a local vibe. Leblon is the least visited of the 3 beaches so if you want to stay clear of too many crowds, this is a good option at the Sheraton and the hotel itself is fantastic. We loved Ipanema side of Rio for the great beaches and easy accessibility across the city) The roof teracces on this side also give stunning views for the sunsent! You’re right. I found that we could get to Barra faster from the Ipanema Beach than Copacabana. And oh yes, the sunsets were amazing! Rio is fantastic city, one night in this city is my dream .Fabulous photos ,amazing hotel . Thanks! It is a dream city for sure. I’ve wanted to go to Rio since hearing the song Girl from Ipanema as a kid! If you have the opportunity to visit Rio, be sure to take advantage of it, the city is wonderful with beautiful natural landscapes, follow the great post guidelines and have fun. Thank you! We agree, Rio is absolutely beautiful and a must visit. We have it up there as one of the great cities on earth to visit!